My recipe book “Healthy and Easy” can now be shipped to over 100 countries but as a soft launch, I’m just trying this for Australia and New Zeland. message me if you would like a hardback or multiple copies delivered to you elsewhere. As the book is printed on demand it is very expensive to produce so retailers are unlikely to be stocking it. So for a limited time I will be selling physical versions here. It will always be available on Amazon Europe and North America and in eBook format. I’m selling the paperback with a minimum quantity of 2 due to the high shipping costs. Any issues then please email me. If you want just one paperback you can order from Amazon US and they deliver worldwide and are selling it for a very reasonable $20 USD at the time of writing. Both books have the same contents inside however the print quality of the paperback is inkjet and superior for the hardback. Both look good; the paperback is the quality that you would get from an inject printer on high quality and the hardback is the same quality as mass-produced books. The paperback does lack some hue, detail and saturation but unless you are comparing them side by side (as I do!) you are unlikey to notice a huge differnce – other people I’ve asked for advice have said the paperback looks great. However it’s pretty hard for me to be objective of my own work. 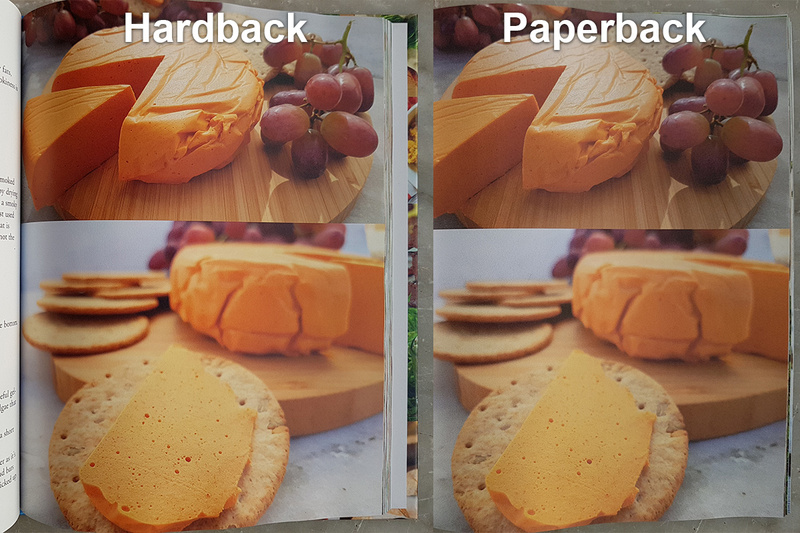 The photo below shows the two qualities side by side, although the image has been highly compressed by my site so it’s hard to truly show the high quality of the hardback photo. Just to confuse matters more there is a third version that has image quality just about the same as the hardback (slightly lower) but in paperback. This is the one sold and dispatched by Amazon, unfortunately I can’t sell that on my own site. But Amazon US and UK do ship worldwide and sometimes the book is very reasonably priced.